India has a massive market for used (second-hand) cars. Used car or not- the first-time experience is intimidating, both for the buyers and sellers. The actual work begins only after you decide on the car, followed by a long trail of paperwork, starting from registration to car insurance woes. Oh, it’s a real struggle! This is where the below checklist can simplify the hectic task into a simple affair. Check the existing car insurance documents, if any. This way you can identify if the car has any claim history or met with an accident that required a claim. This is a quick way to note the NCB bonus percentage applied previously. Cars with more NCB will benefit you later. In case you need a new car insurance. Check if the engine number and chassis number of the used car, you want to buy. match with the registration number. You need to check if the filters in the car have been regularly cleaned or not. If required, get them changed. As car filters must get a regular cleaning, failing which may affect the performance of the car. On the other hand, it is a quick judge of whether the car has been maintained properly. Car brakes are an essential part and one should always check if the brakes of the used car are working properly or not. You can do this by driving the car at 40-50 kmph speed in an area with no traffic. If you notice any vibration or noise from the brake pedal, get that repaired or replaced right away before buying. Never ignore the car tyres. Get them checked well. They should be evenly worn and matched with each other. Check the surface for bad alignment (feathering). Check if there is any dent, damage or rust. These are signs of a badly maintained car or of one in poor condition. Try to avoid them. For doing so, you’ll need to fill in and submit Form 29 & 30, issued by the RTO in the jurisdiction you come under. The forms should be duly signed by both the buyer and the seller. In case the car doesn’t come under your jurisdiction, a NOC (No Objection Certificate) from that jurisdiction’s RTO will be needed to process the same. After you submit the form, the local RTO processes the transfer. Within 15-18 days, a receipt will be received by the buyer intimating him/her about the change of name in the RC copy. Next step is to get the used car insurance transferred or buying the new one. Check form 32 & 35 to ensure that there is no pending loan on the car you have chosen to buy. In case the previous owner bought the car on finance, ask for the invoice for the same. Also, obtain a No Objection Certificate from the company that financed the car earlier. The service book is required to check the history of service record, road tax receipt etc. If CNG/LPG is fitted on the car, get the bi-fuel certificate. Once the car RC has been transferred to your name, the next significant task is to transfer the existing car insurance to you. If the insurance policy is still under the previous car owner, the insurance plan stands invalid. In your course of driving, you can’t claim the same. The process of transferring the insurance policy is parallel to the transfer of ownership to the old owner to the new one. By applying with the photocopy of the receipts/form 29/30, one can change the name on the used car’s insurance policy. You just need to contact the insurer to initiate the same. A representative of the insurance provider or an insurance broker can guide you throughout the process. 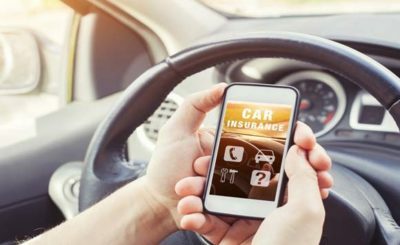 Many car owners don’t feel the urge to own car insurance or have a valid insurance plan. Once you transfer the RC in your name, it is mandatory to apply for car insurance. Even having a third party insurance is mandatory these days, without which you can’t drive the car on roads. 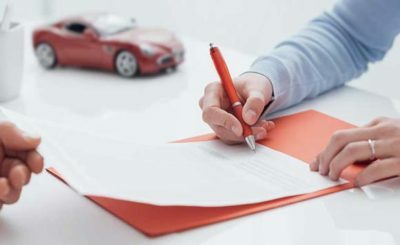 Fret not, you can easily apply for a new car insurance policy. If you decide on the plan, the insurance company will issue a new policy after a quick vehicle inspection. It, really, is the best option. This way you can buy the insurance policy from the company of your choice. You will get enough time to compare car insurance quotes online or browse over the various plans available. This helps you negotiate a better price from the insurance company as well. Also, you can approach an online aggregator website to compare the policies or use car insurance calculator before landing on any deal. The process can be a breeze if you pick car insurance through an aggregator website. No Claim Bonus is a discount offered by the insurance company for each claim-free year. NCB is given to the policyholder, not the insured vehicle. So, at the time of buying the vehicle, the insurance policy is transferable to the new owner, but not the NCB. The new owner on account of the NCB has to pay the difference for the balance policy tenure. However, the original owner can use the NCB on a new car bought by him. At the time of transferring car insurance from the previous owner, the NCB discount earned wouldn’t be transferred to you. If you’ve had a car and earned an NCB discount, your existing insurance company should have issued an NCB reserving letter, valid for 3 years. 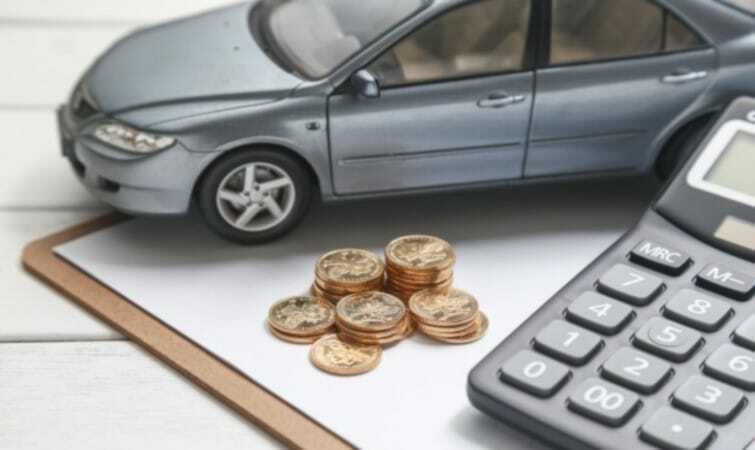 You can use this letter for future reference and apply the discount to the new car insurance policy you buy or adjust the amount while transferring the policy in your name. But, the only negative point is that if your NCB bonus is greater than your sellers’, you won’t get the refund. 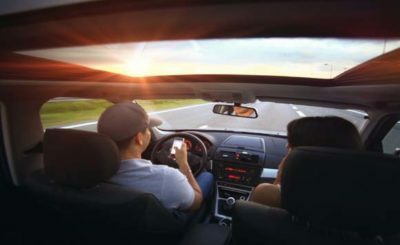 So, even we consider the NCB point of view, it is better to have a fresh car insurance policy! Your car needs a thorough clean up: Ignore only if you don’t want to flaunt a shiny and dashing car. Try steam cleaning and sanitizing your newly owned car. Change of Fluids: Car life always depends on how well it is maintained. Regular change of oil and fluids is a must to maintain a smooth car. It is imperative in case of a used car, where you’re unsure about the prior condition of the car. Stay on the safer side, keep a regular check on oils and fluids. Quick fixes to be done instantly: Simple wear and tear, any sign of rust or dent, water entry through cracks or holes should be checked and fixed right away. All checked? Now, you’re actually ready to take the plunge! Enjoy the ecstasy of riding your hard-earned, dream car! Hope these pointers help you in giving an insight on buying used car. If buying a used (second-hand) car is on cards, do consider these tips before buying one. Of course, do share your experience with us here! Can Smoking Affect Senior Citizen Health Insurance Premium?